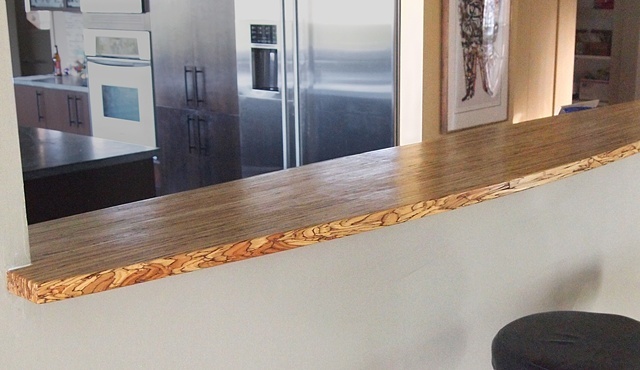 Custom wood bar counter made from Parallam lumber (a.k.a. psl). A curved template was provided by the client creating a gently curved profile with a stunning edge detail as it crosses through the layers of engineered wood. The finish is a tong oil based product called Waterlox which gives it a deep rich appearance.